Memory runs by its own itinerary, departing and arriving at stations of the past on its own schedule. – Steve Erickson And today we are also sharing some amazing memories of our journey we experienced sitting on student’s benches once again. 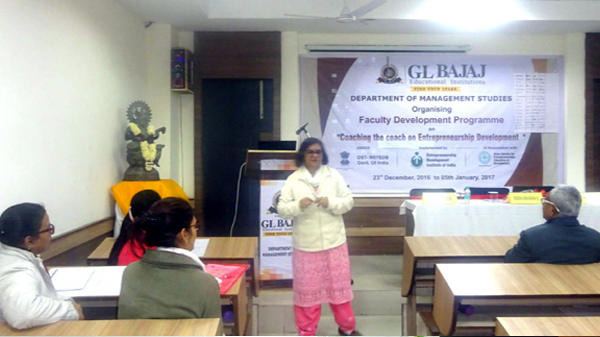 It is time to culminate the two weeks Faculty Development Programme on Coaching the Coach on Entrepreneurship Development” under National Science and Technology Entrepreneurship Development Board (NSTEDB), Department of Science and Technology, Govt. 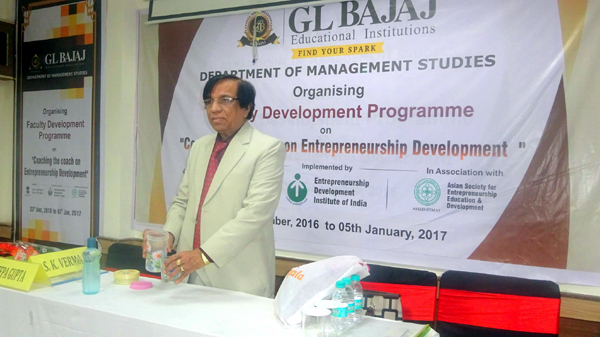 of India, Implemented by Entrepreneurship Development Institute of India (EDII) in association with Asian Society of Entrepreneurship Education & Development from 23rd December 2016 – 5th January 2017. As we approached the end of our workshop, an exhilarating industrial visit was organized to Prits leather exports pvt. Ltd., which is a fast emerging Government recognized manufacturer and exporter offering a wide lineup of statement leather products including garments, bags, belts, accessories. The company was established in the year 2006. It has made its mark in the global market by earning a reputation of excellent quality, timely deliveries, competitive prices and exceptional customer care and support. We got to learn and experience the entrepreneur voyage of a budding entrepreneur, in his own words which was winning and extremely motivating. We will be ever appreciative to all the eminent personalities who shared their knowledge with us and imbibed the sentiment of development and mentorship. 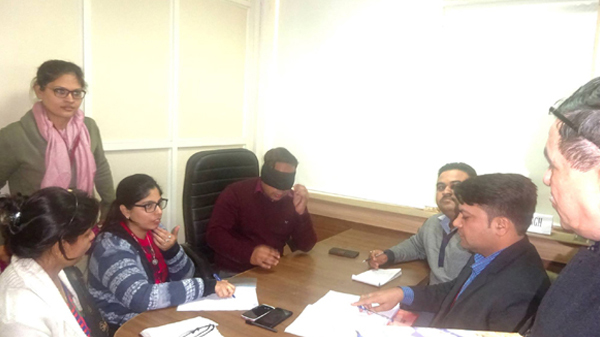 • Mr. Pathak is retired from active service of the Syndicate Bank on superannuation and contributing as Mentor to an NGO- Connecting Dreams Foundation and also providing consultancy services to SOF: IICA: MoCA: Govt. of India: New Delhi. • Mr. Atul Rana, Senior Manager- raining, Maintec Technologies pvt. Ltd.
• Ms. Rekha Bharadwaj, General Manager- HR at Bharat heavy Electricals Ltd. (BHEL). 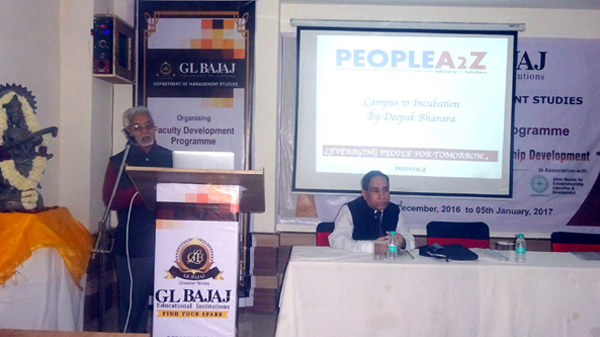 • Mr. A. K. Sinha, Director, Synd Rural Self Employment training Institute. • Dr. Nagendra. P. Singh, Chairman, Asian Society for Entrepreneurship Education & Development, a leading Development Management Organization in Asia- Pacific and DG, IDMAT. • Mr. Deepak Bharara, Chief HR officer, Lanco Infratech ltd.
Ms. Anupama Singh senior faculty with Rural Development and Self Employment Training Institute (RUDSET) This prolonged 2- weeks Faculty Development programme ambitioned to augment our knowledge on entrepreneurship and presented us with inspiration and encouragement to be more innovative, courageous and visionary in our teaching methodologies and spring into the domain of entrepreneurship with widespread knowledge and training as we are the facilitators for our budding entrepreneurs.